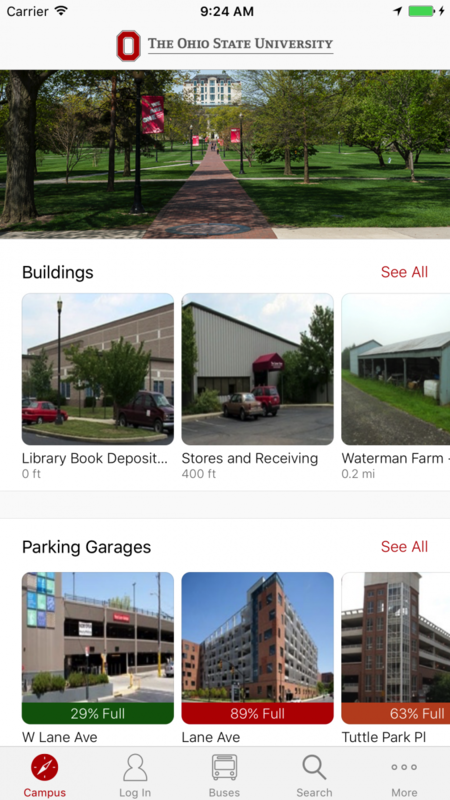 The Ohio State app user interface went through a major overhaul, thanks to regular feedback from USG. The app looks and feels more like a native iOS app, making it even easier to navigate. Users will notice a simpler design, app-wide search capabilities, familiar university branding and higher color contrast for easier viewing. The most popular features remain prominent across the bottom of the app screen, with the first item featuring Campus-related information suitable for students, faculty, staff and visitors. If you aren’t concerned with nearby buildings or parking garages, you won’t have to see them every time you open the app. The latest version of the Ohio State app remembers where you left off (say, looking at your class schedule in the My OSU section), so the next time you open the app, you will be taken back to that section. 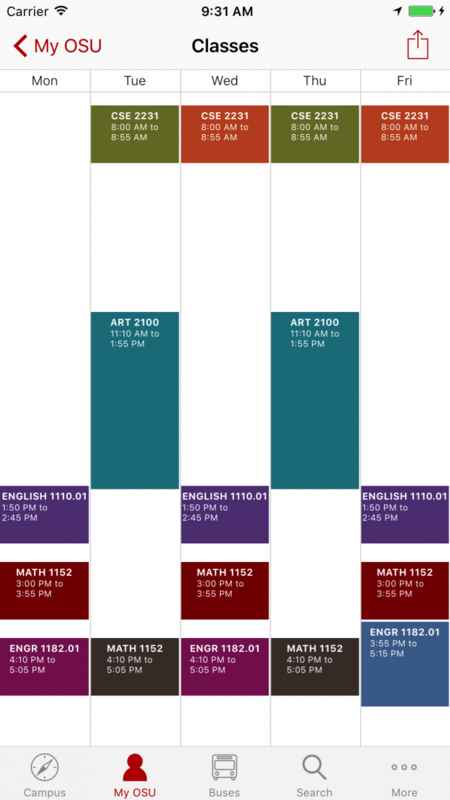 Speaking of your class schedule, the latest app version supports a weekly calendar view! You can quickly see where you need to be and when, and you can share your calendar with classmates with just a few quick taps. Accessibility enhancements were also made to the Ohio State app that allow a screen reader to interpret pages in a more intuitive and useful way. Be sure to update your iOS app today to experience these improvements! And Android folks, stay tuned!